One of the things that people frequently puzzle over is how the US can ever satisfy its massive national debt. The figures frequently seem so large that they are beyond the comprehension of most people. Most analysts predict tax increases or spending decreases as a way to offset accumulated deficits in the future. Analysis of the facts shows a very different story that is likely to play out again in the future. 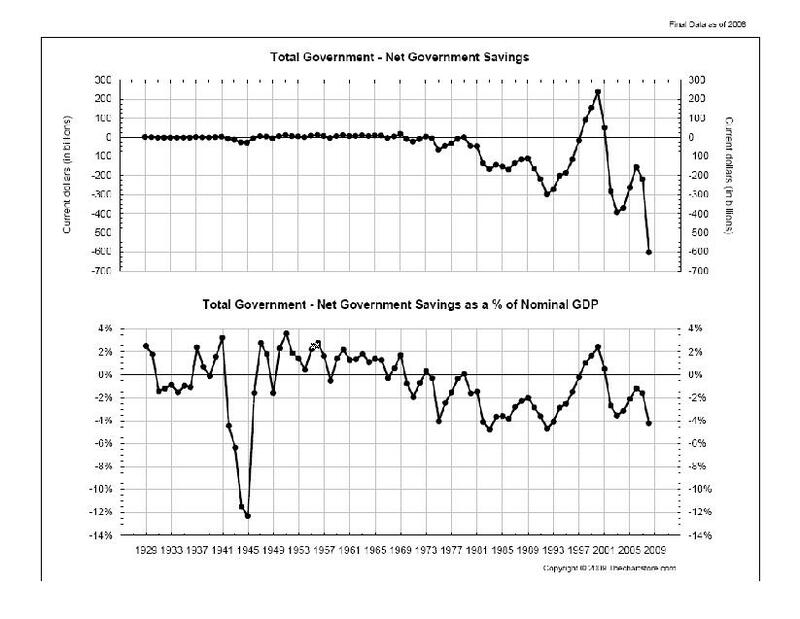 A simple comparison of the total government surplus / deficit in nominal dollars on one axis, and as a percentage of GDP on the other axis tells the entire story. Throughout the great depression, the national economy produced surpluses and deficits that oscillated between 2%-3% of GDP in any given year. 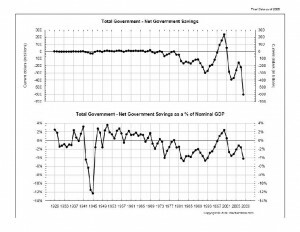 However, in World War II, the government incurred repeated deficits to finance the war efforts that comprised a startlingly large share of GDP. When these tremendous deficits are depicted in nominal terms, they appear to be nothing more than a minor blip. The reason for this is because the government inflated the currency as a way of dissipating its debt burden. By exercising its authority to expand the supply of money, the government indirectly taxed the production and savings of every person in the nation. It also penalized every person and entity that purchased government bonds, since the balance was paid back in devalued dollars. Thus, the answer to our current financial crisis appears quite clear. 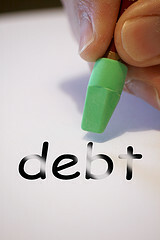 The government has repeated its past behavior in accumulating an impossibly large debt. This iteration of debt proliferation differs from World War II, because it is being driven by entitlement obligations instead of military efforts. The fundamental difference between these two drivers is the fact that wars eventually end, but entitlement expectations continue in perpetuity. This means that financing the government obligations cannot be done in one fell swoop of inflation. There will need to be a continual, persistent inflation of the money supply in order for the government to finance its entitlement promises into the future. 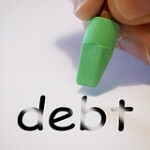 In this way, the debt will be floated away by an ever increasing supply of inflation. The unique opportunity present with this tide of inflation is that it will float away both the government’s debt and yours. By de-valuing the dollars that are used to pay back the debt, it will systematically reduce the ‘real’ value of what you owe. 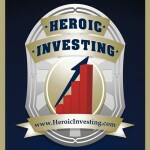 Thus, by prudently financing tangible assets like income properties with fixed-rate debt, it will create an ark to float you and the people you care about to prosperity. The flood of inflation is most assuredly on its way, and is likely to last much longer than 40 days and 40 nights. Don’t wait until the water begins rising to act.